Hi hi! Today is day 28 of the 31-Day Challenge. Only three more to go! 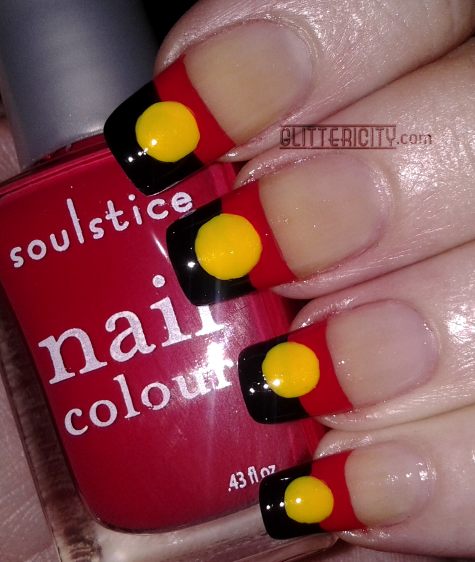 Today's prompt is "inspired by a flag", and I have known for a while that I wanted to honour the Australian Aboriginal Flag. It was first flown in 1971, and in 1995 it was proclaimed an official flag of Australia. As it should be. 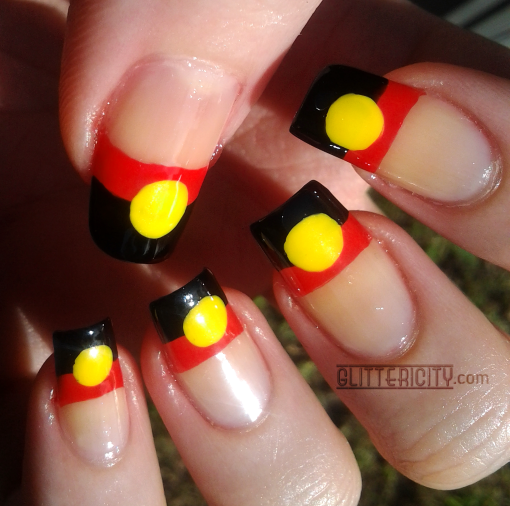 :) I like the symbolism of the colours as well--the black represents the Aboriginal people, and the red represents the earth as well as the colour of ochre, which has ceremonial significance. The yellow circle in the middle represents the sun, the protector and giver of life. I used Soulstice Spa Buenos Aires (red, and as close a match to the official Pantone 179 as I have) and Gotham (black) for the striped tips, and Zoya Darcy for the yellow circle. 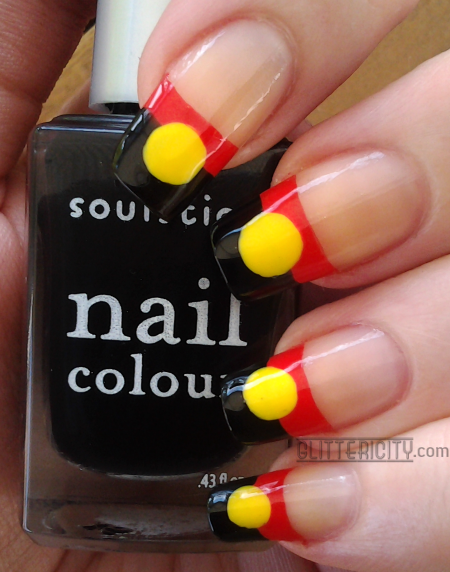 Topcoated with Seche Vite.